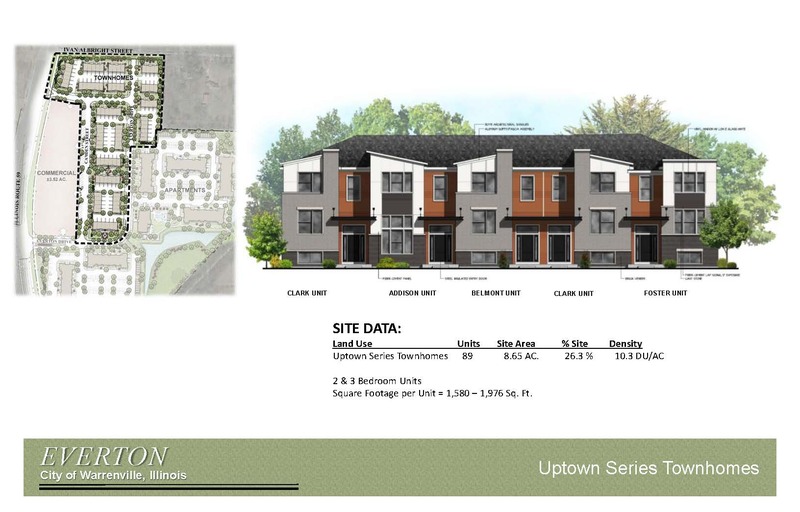 The Everton mixed use development project includes the developments of a 32.8-acre property with 89 townhome units, a 259–unit apartment complex and an approximately four-acre commercial site, together with associated stormwater management facilities, private open space, and new private and public streets. Everton Townhomes / M/I Homes component of Everton Mixed Use project includes (i) mass grading, installation of utilities, construction of public roadways and stormwater management facility and landscaping for the Everton mixed use project, and (ii) construction of 89 townhomes and their associated private drive improvements. 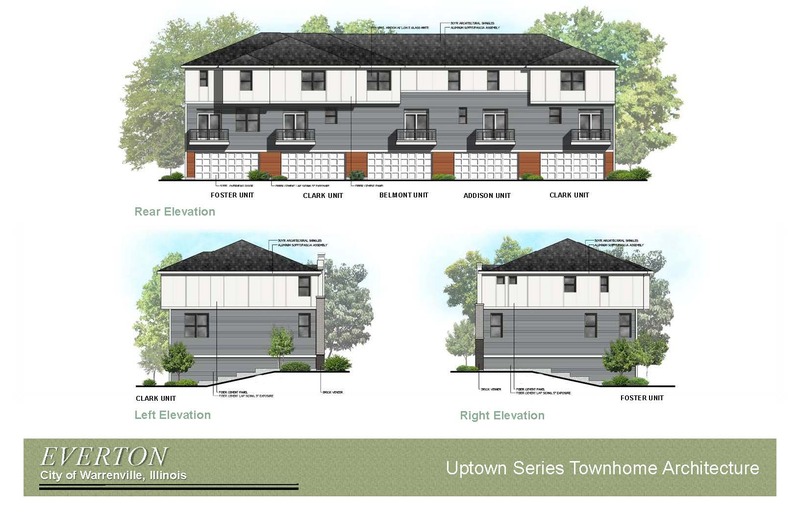 Final Plat of Subdivision and Final PUD plans for site improvements and Phase I of the Everton mixed-use project (Townhomes) were approved by the City Council on March 4, 2019, by Ordinance O2019-05. Tree clearing, demolition of the two existing homes located at 3S525 Route 59, Naperville, IL and 29W741 Albright, Warrenville, IL, and erosion control measure installations have begun on April 3, 2019. Site mass grading, public roadways, and utilities installation will follow.